We know you have many choices when it comes to choosing an auto mechanic to repair or service your vehicle. AAMCO of Bonita Springs, FL offers reliable auto repair services you can count on! We opened our doors in 2008 and have since been providing full service car repair and auto repair services in Bonita Springs, FL. AAMCO of Bonita Springs can service or repair any make or model vehicle. Our auto mechanic experts are some of the best trained in the country and participate in continuing education to stay up to date with new emerging technology. Our auto services include general car maintenance (oil lube & filter, brakes, batteries, tires, belts & hoses, spark plugs, shocks, radiators, alignment), heating and cooling systems, fuel injection, transmissions, ignition, starters and alternators, electrical services, exhaust, full engine services, towing, off road repairs, import general repairs, fleet repairs, rental car assistance and more. Our goal is to offer and provide the most reliable vehicle services available at affordable prices to get you back on the road quickly. 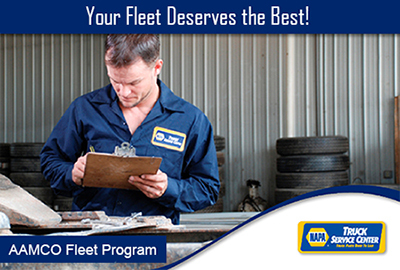 Your fleet must be kept on the road and our fleet program is what you need to make that happen. 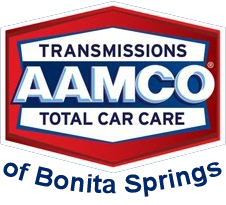 At AAMCO of Bonita Springs, our expert auto service and repair technicians have years of experience performing everything from oil changes to a complete engine overhaul. There really is no job too big or too small for us to handle. We care for everything in, on and under your car.